After a long day of responding to emails and handling whatever situations arise at work, there are times when a workout is the last thing we want to do. If we’re not careful, our fitness routine can get stuck in a rut, rather than being the energy-bringing, mood lifter our bodies crave. 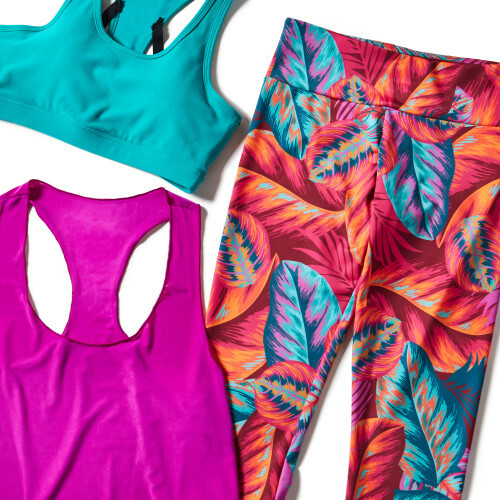 On days when you need a little extra motivation to get from your desk to the gym, escape the mundane with these fun color combinations for your fitness clothes. They’re sure to power up your workouts! Not into bright colors? 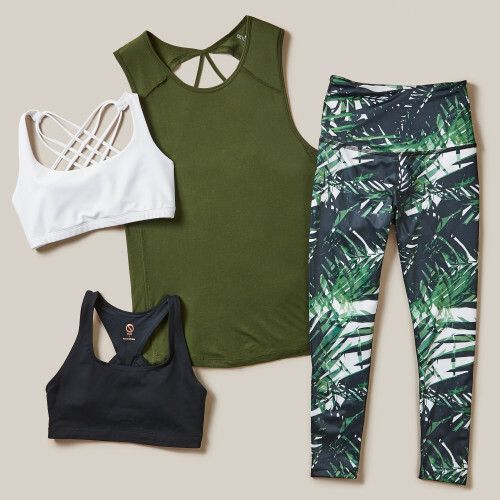 This season’s ever-popular green palm prints play well with earthy olive. Mix in some neutrals for the perfect toned-down, fashion-forward fitness outfit. 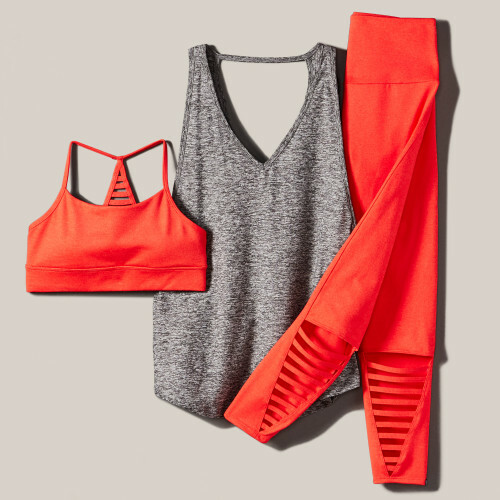 If you’re looking for a classic combo, pairing sporty heather grey with a bright orange or red hue is always a safe bet. You can never go wrong with this color combination that’s simultaneously bold and balanced. Stand out from the crowd in a mixture of vivid colors and bold patterns. Energizing shades of magenta, teal, and orange are stunning together. Who knows—they might even inspire you to claim a spot at the front of your next class! Headed to yoga? Find your center in calming, ocean-inspired tones. Beachy blues and fresh whites will have you picking up good vibrations as you flow through your sun salutations. Stay cool at the gym wearing the colors everyone’s been crushing on: lavender and blush. Since pastel florals, in particular, run the risk of being syrupy-sweet, icy blue adds a much-needed dose of chill. Pretty in pink—and also pretty tough! Sometimes an ultra-femme color palette is exactly what you need to feel confident as you reach for your personal best. Play with different shades of paler pink and deep wine for a look that’s sweet yet strong. Have your ice cream and eat it too. Wellness is all about a healthy balance so enjoy a sweet treat, then sport sorbet shades during your next workout. Combine Creamsicle orange with frozen blueberry hues to create a satisfying recipe for fun fitness style.